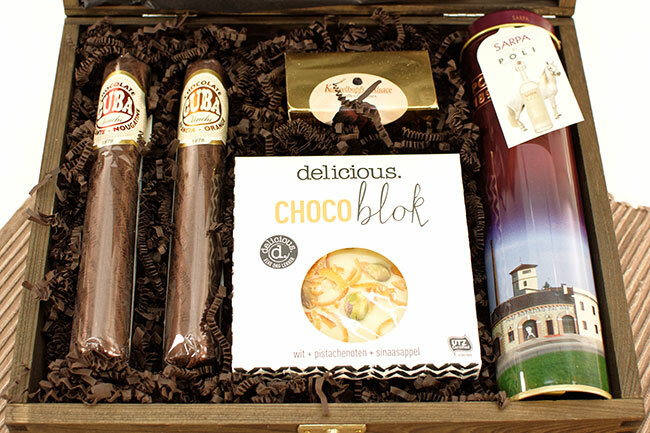 Elegant wooden gift box with a gift-wrapped grappa, two VENCHI chocolate cigars, a wonderful white chocolate and French chocolate truffles. Decorated with a matching bow. a great added value, this wood casket will be pleased to reused. 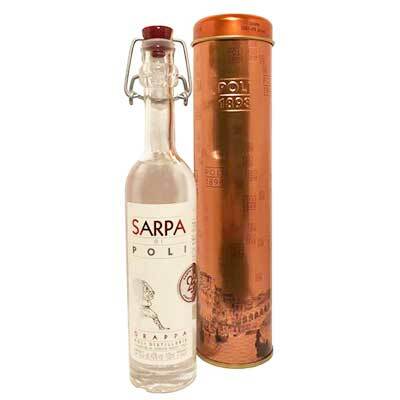 Sarpa di Poli comes from the Poli family in northern Italy who have been distilling grappa for over 100 years. 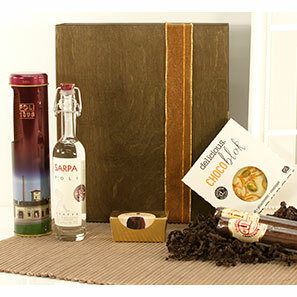 Sarpa in the Venetian dialect means grape pomace which is the foundation for grappa. This bottling is a blend of grappas made from the pomace or skins of Merlot and Cabernet Sauvignon grapes. An aromatic, warm beverage, that has an eclectic yet harmonious mix of flowers, cinnamon and cassis, Sarpa Di Poli is the pride of the Poli Distiliere. It has a delicate, floral bouquet, slightly fragranced with juniper berry. It is silky on the palate and persistently tasty. 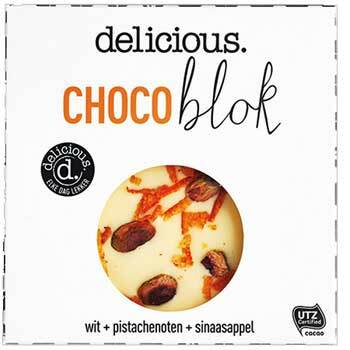 covered with a double layer of chocolate. 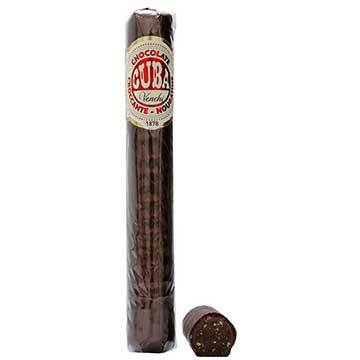 The cigar from Venchi comes from Piedmont. 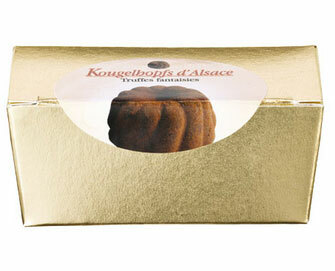 caramelized pieces of the Piedmontese hazelnut IGP. Not suitable for pregnant and or lactating women. Resp. Food business owner Venchi S.p.A.